From Poets.org: Joseph Brodsky was born in Leningrad and left school at the age of 15, taking jobs in a morgue, a mill, a ship's boiler room, and a geological expedition. During this time, he taught himself English and Polish and began writing poetry. Brodsky was exiled from the Soviet Union in 1972 after serving 18 months of a five-year sentence in a labor camp. According to Brodsky, literature turned his life around. "I was a normal Soviet boy," he said. "I could have become a man of the system. But something turned me upside down: [Fyodor Dostoevsky's] Notes from the Underground. I realized what I am. That I am bad." He moved to the USA, where he made homes in both Brooklyn and Massachusetts. His first book of poetry in English translation appeared in 1973. Celebrated as the greatest Russian poet of his generation, Brodsky authored nine volumes of poetry, as well as several collections of essays, and received the Nobel Prize for Literature in 1987. In addition to teaching positions at Columbia University and Mount Holyoke College, where he taught for 15 years, Brodsky served as Poet Laureate of the United States from 1991 to 1992. In 1993, he joined with Andrew Carroll to found the American Poetry & Literacy Project, a not-for-profit organization devoted to making poetry a more central part of American culture. Joseph Brodsky's book The Art of Losing was available from LibraryThing Early Reviewers. 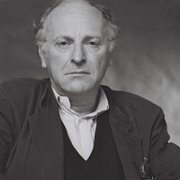 Joseph Brodsky is currently considered a "single author." If one or more works are by a distinct, homonymous authors, go ahead and split the author. Joseph Brodsky is composed of 35 names. You can examine and separate out names.